Do you need a catfish farming business plan and feasibility study to start your catfish farming business in Nigeria? Then here is a detailed guide and business plan to starting a catfish business in Nigeria or anywhere in the world. 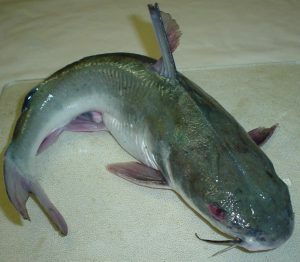 Catfish farming is one of the most profitable business ventures in Nigeria. Most people start out with Catfish, which is relatively easy to cultivate and very lucrative. In this review, we will show you all you need to know about running a standard fishery in Nigeria – all the facts and information, equipment required, business plan, profit, risks, challenges and gross revenue. In times past, fish could only be obtained from ponds and rivers; and those who owned lands where ponds ran through usually made a fortune from extensive fish trade. Today, a commercial fish farm can easily be invented through the construction of man-made ponds, supplied with adequate water. It can be constructed anywhere – from your backyard to your front yard – as long as there is sufficient water supply. Below-listed are some of the advantages of owning a fish farm, challenges you might encounter, risks you should be wary of, and the detailed process to follow in setting up your own farm. Financial Evaluations: This comprises of costs of construction – developing the design, costs of fingerlings, comprehensive lists and costs of machinery, running costs, power supply, fish feed, cost of hiring labour, capital, structures and buildings, constructing ponds, plumbing works, pipes, nets, tanks and aerators, oxygen meters, boots and other operational gear, and etcetera. Economics: This essentially refers to starting out on a small scale, say with just under 100 fingerlings. When you have a regular and well-ordered amount of fish, you can conveniently manage whatever comes with fish cultivation; like the water, food and environmental conditions. At www.businessplan.com.ng, we are a team of professional business plan writers and we have written and packaged a professional catfish business plan and feasibility study to help potential or existing catfish farmers who are interested in sourcing for funds from private investors, bank loans, business grants and other business related competitions. This complete catfish farming business plan is in Micro Soft Word (MS Word) document format and the financial analysis is in MS Excel format so that you can touch it up to your preferences. 4) Product description: Description of the product (Catfish). This includes: the size, length, weight, etc. We will send your complete Catfish business plan/feasibility study to your email within 15 minutes after payment. Hi Jerry, If you are interested, call us at 07033378184. Thank you. it’s a great idea. I love it. thanks to the admin. This is good, thanks for the information, will get back to you. I have an half plot of land already, how much do I need to set up the tank, plumbing and other equipment (cat fish not included). I’m Mr. Noveh L. Lumayag I like to make a catfish pond the are of mine is 3.75 hectares but i have a little problem about financial and how to start. I’m here in Saudi Arabia as now working planning next year to start this project. Please help me Admin. I would like to have a small cat fish farm within my abode. Can a space of about five feet by four serve the purpose? If yes, how do I go about it. What’s the likely budget to start a small cat fish farm within a residence? Indeed you have done a good job to ease people that lack knowledge on how to start a business. Going through the preamble alone can give someone knowledge on how to be self employed. Keep it up.